The building project is a complete redevelopment of an existing block of apartments, constructed in 1989. The refurbishment includes new insulation and cladding, as well as inner changes in the layouts, addition of balconies to most of the units, plus high specification interior finishes. 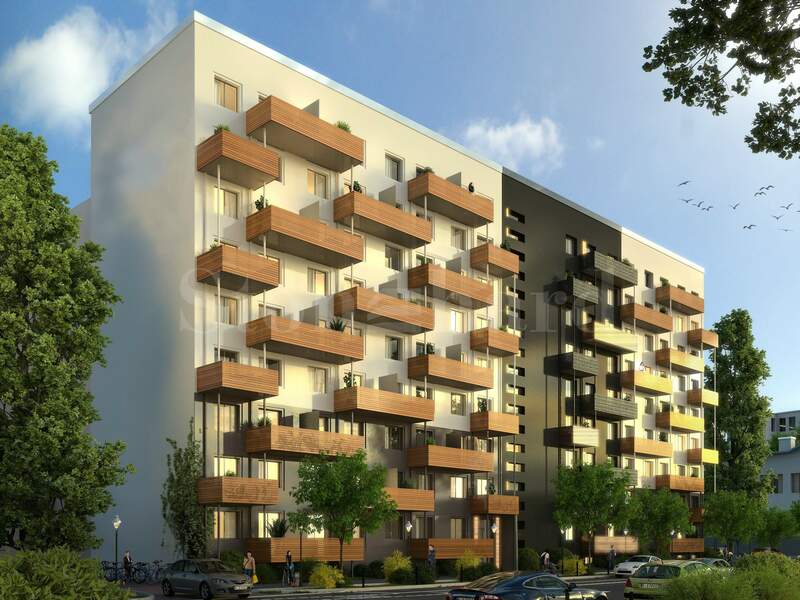 The project has the most central and thus highly desirable address surrounded by major historical sites, tourist attractions such as Brandenburg Gate, Museum Island and Potsdamer Platz and business centers. The available transport links are excellent since Ostbanhof station is just 10 minutes walk away. The total area of the plot is 1376 sq.m, while the total built-up area of the building is 4019 sq.m. The project includes 121 apartments, targeted at young professionals, aiming to provide full service to the tenants. The properties include luxury specifications and finishes. They are offered fully furnished or with fitted kitchen only. 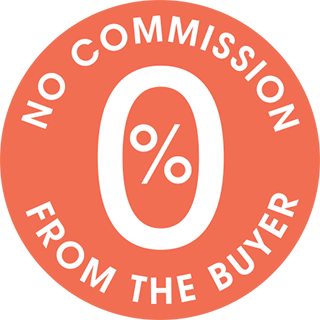 The investors can choose from four main layouts and sizes, namely: One 25 sqm, Three 39 sqm, Four 39 sqm and Five 62sqm. The building is served by a management company with offices in Central Berlin that manage all aspects of residential and commercial property. They provide a one-stop shop for an investor dealing with rent collection, tenant finding, administration, accounting, legal issues and all other property management requirements. The project includes 121 apartments, targeted at young professionals, aiming to provide full service to the tenants. The properties include luxury specifications and finishes. They are offered fully furnished. The Developer is providing four furniture packages depending on the four main apartment sizes and layouts in the building. Detailed information is available, please contact your agent for further information. Berlin is the 3rd most visited city in Europe. The crossroad between Friedrichshain and Kreuzberg is the most exciting spot in Berlin. Thanks to the strong contrasts along the Spree, the area provides a cosmopolitan lifestyle, unique for Europe. The same district is shared by established global companies like Mercedes, Universal Music and Coca, and abundance of IT, media, creative and pharmaceutical companies as well as with well-known clubs, such as Berghain and Tresor. Unique new experimental opportunities such as Holzmarkt Project with its artist village, a start-up center, high end gastronomy, a night club, and its own child care center are planned just across Germany’s largest event arena - O2 World. In the area are to be found also various market halls, restaurants, music studios, beach clubs, design hotels and also the largest start up scene in Germany. In addition to the diversity of top employer in the area and the intensive cultural and lifestyle provided, the infrastructure is covered by U-Bahn, S-Bahn, Regional Express Train, and the InterCity Express Train – all situated within walking distance. The Airports of Berlin are only 30 min drive by car or train ride. The increasing number of people coming to Berlin led to a serious demand for apartments and resulted in a housing shortage, higher purchase prices and rents per square meter. Affordable living area in the center of Berlin became non-existing and the only alternative was downsizing the living requirements to be within the housing budget. The building on focus here is located in Mitte, one of Berlin’s most desirable locations which ensures an excellent investment perspective. The conceptual design of the furnished apartments was focused on offering furnished apartments for a mobile lifestyle, great hotel-style functionality and home coziness. The floor plans of the apartments combine all the amenities expected by modern people with the highest-quality design solutions aiming efficient usage of the space, an excellent lifestyle, affordable purchase price and manageable rents. The developer has a long established track record, being active in Germany for over 10 years with assets under management of more than 1Bn Euros. 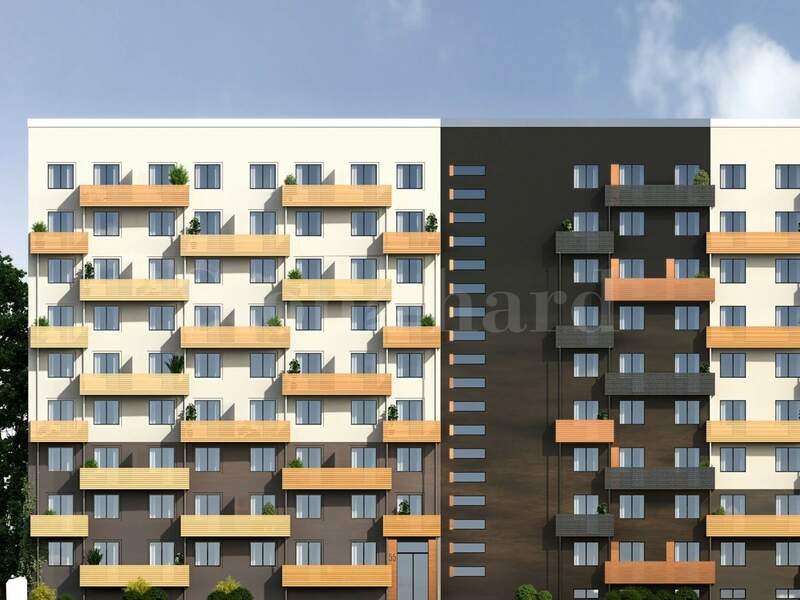 The developer will organise with their in-house property management company to run the rentals and management of the apartments in the building. This professional management company has headquarters in Berlin and now has over 50000 residential units under management. The company will provide long term letting and management services to all our investors for only 21 Euros per month. Investors who rent out their apartments may expect net annual returns well in the region of 4% per year. Typically in Berlin tenants will cover most of the expenses, and the project is developer in a rental tax-free area, so the generated rental will be net for the apartment owner. Rental is not guaranteed, but Berlin has the most stable rental market in Germany and Europe, so we expect very stable income from long-term tenants, that would be young families and professionals. In addition, once the owner holds the apartment for at least 10 years, there would be zero capital gains tax (0%) if the property is resold. A major capital, Berlin is a beautiful city where investors can buy a property for less than one third of the price they would have paid in London. Berlin’s property market has seen serious increase in property prices in the past few years with a substantial growth planned for the future. The first sign is here, thanks to the city being a major technology center and the growing number of young population, Berlin has been named Europe’s No 1 investment destination for 2016. Currently, Berlin faces a shortfall of 15 000 homes per year which led to a 10 % increase in the property prices in 2015. Since the capital of Germany is a known center for arts and culture, education, science and politics, the city is expected to grow by 50 000 people per year. The building is situated in a designated investment zone aiming regeneration in the area. The investors can benefit from tax breaks and no payment of income tax until they have received back 60% of the value of their investment in rental income. Further to that, there is no Capital Gains Tax on the profits if the buyer holds the unit for 10 years. In case this is considered a 10 year investment, it can be completely tax free. The regeneration zone is already in process with many new developments around and a campus with 5 000 employees nearby. The rental yields at the building featured here are estimated to be between 4% - 4.5% p.a with strong potential for both rental and capital growth over the next 5-10 years. Another good point is that in Germany the service charges are paid by the tenant so the running costs are very low and the returns are high. All apartments come fully furnished. The payment plan is connected to the construction progress and the available financing is up to 45% LTV. We work with an international mortgage broker who can assist to our international buyers during the entire process. We are recommending the mortgage loan services of the professional mortgage broker Refine Real Estate Financing. Each buyer/investor is assessed individually, with a summary of all potential options for financing, currently offered by various German banks . Mortgage finance offered to non-residents for similar property purchase varies between 40% to 60% Loan to Value. Fixed interest rates are available for a period of 10 years. The current interest levels for non-residents are in the range from 2.3% - 3.5% per year. In the event that a foreign national is a German resident or producing substantial part of his income in Germany, the interest rate can be reduced to approx. 2% per year. IMPORTANT: Mortgage finance is available only to individuals with stable financial status and sufficient personal income from full–time job or business, that is possible to prove with official documents. Naturally, the specific terms of the financing achieved are subject to the individual proof of each borrower whether complying with all the legal, financial and personal requirements, as determined by the German banking laws, after providing all the documentation and personal information that may be needed, an internal evaluation of the property which is being purchased in accordance with the common standards of the local banks as well as credit committee approval. Therefore the final conditions for each individual borrower may vary. The building is under construction and goes according to the approved plan. The completion date is December 2016.